The Peshawar project is moving forward slowly. Over the Christmas break in between gorging on roast meats washed down with ice cold beers I started basing the “conventional” ground troops for this. Land ironclads and contraptions will come later. First cab off the rank here were one of the oldest protagonists in the Great Game … Mother Russia! 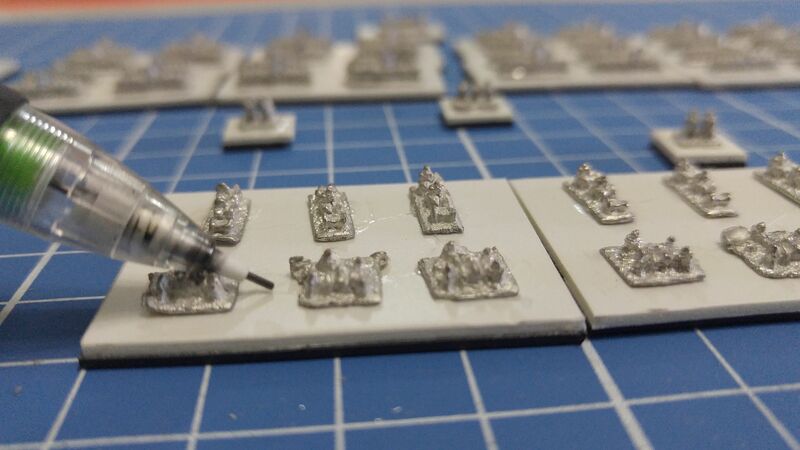 The Russians are organised along historical lines (and as suggested in the Land Ironclads rules from Wessex Games). 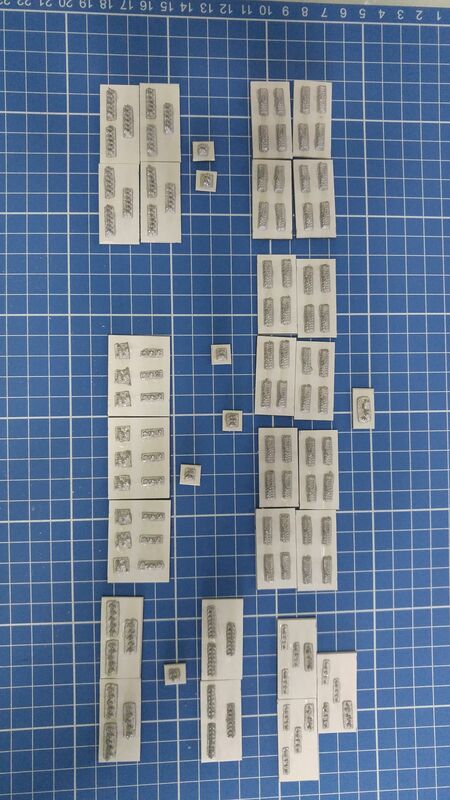 Based and ready for sand on the bases and painting is an under strength battalion of infantry (one company detached), two sotni of Cossack, four squadrons of ‘ussars, two squadrons of dragoons and a brigade of artillery. A Russian infantry battalion normally consists of four companies of regular infantry with a rifle company making up a fifth company. The companies are all about 200 men strong so that is represented by four infantry blocks (I am assuming each infantry block represents about 50 men). The cavalry squadrons are all approximately 150 men strong. Next off will be the conventional forces of one of the newcomers to Peshawar – the USA.